Finca Cortesín Hotel Golf & Spa is the best golf resort in Europe with an average score of 9,3. Monte Rei Golf & Country Club is the runner up, with an average score of 9,25. Rockliffe Hall Hotel Golf & Spa - the number one in 2016 - is now the number three. Spain, a real golf destination, has the most resorts in the top 100 list of best golf resorts, seventeen in total. England is second, with fifteen golf resorts and Portugal is third with thirteen golf resorts. Leadingcourses.com has been giving a voice to golfers since 2007 and has gathered hundreds of thousands reviews of actual golfers ever since. As a prelude to the presentation of our unique Golfers' Choice 2017 Awards - to be announced in March/April - we are now launching the top 100 list of best golf resorts in Europe. This ranking was first launched in 2016. Combining the rating for the hotel and golf facility has resulted in an interesting list of golf resorts and has eventually led to our top 100 of best golf resorts in Europe. The ranking is for 50% based on the Leadingcourses.com rating of the golf facility itself and for 50% on the rating of our hotel partner, Booking.com. On our site more than 600.000 hotels, resorts and villa's can be found, located close to a golf course. Golfers who care more about their hotel, first select their hotel and then book the golf course(s) nearby. Golfers who only want to play on the best courses, first select a region with great courses and after that the hotel. 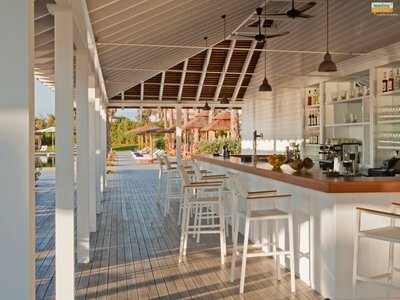 In the list of best golf resorts only resorts with enough reviews - for the club and resort - have been taken into account. The resort or hotel also has to be on or next to the golf course. The best golf resort in Europe is Finca Cortesín Hotel Golf & Spa with an average score of 9,3. The differences in the top of the list are very small, Monte Rei Golf & Country Club is the runner up, with an average score of 9,25. Rockliffe Hall Hotel Golf & Spa - the number one in 2016 - is now the number three. If you really care about the quality of the golf facility itself (and less about the resort), then Royal County Down Golf Club, Royal Dornoch Golf Club and Monte Rei Golf & Country Club are the resorts to choose. If you would only care about the resort itself, then Finca Cortesin Hotel Golf & Spa and Old Course Hotel St Andrews are the best choices. Spain, a real golf destination, has the most resorts in the top 100 best golf resorts, seventeen in total. England is second, with fifteen golf resorts making the list. 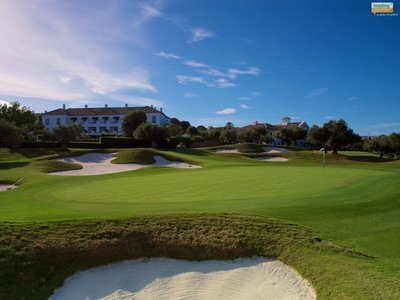 Portugal is third with thirteen golf resorts that made the top 100 list. 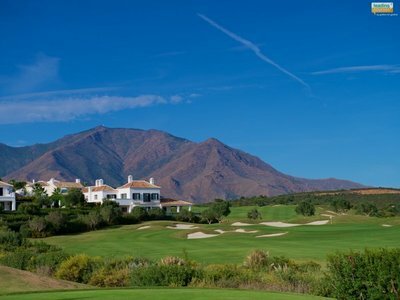 The following golf resorts form the top 10 of best golf resorts in Europe, according to our definitions and rankings. First the name of the golf resort is shown, then the average rating of the resort and the golf facility. For the whole list of 100 best golf resorts, please surf to our blog post on the best golf resorts in Europe 2017! During the KLM Open - on home soil in the Netherlands - Leadingcourses.com has launched a brand new corporate identity. This new identity includes - amongst others - a new logo, new colours, new photography and new fonts. It was a huge task to replace the old logo, both on- and offline but we believe it was well worth it. Our new identity is fresh, crisp and modern and a better fit with what Leadingcourses.com has become since 2007: Europe's largest independent golf course review website. Leadingcourses.com now also available in Italian! Leadingcourses.com, the leading golf review portal in Europe, has just launched its Italian website. Italy is an upcoming golf destination. Hosting the Ryder Cup 2022 will most likely have a positive impact on golf in Italy and Italy as a golf destination. Untill the end of August, Italian golfers can win one or more of the 73 green fees from 16 selected golf courses scattered throughout Italy! At the end of each year, Leadingcourses.com creates unique Golfers' Choice rankings for each country that has gathered enough reviews in that year. In 2017, The Golfers' Choice rankings have been created for thirteen countries on three continents.